vitamini handmade: New items in the shop. I've got a couple new items in the shop! 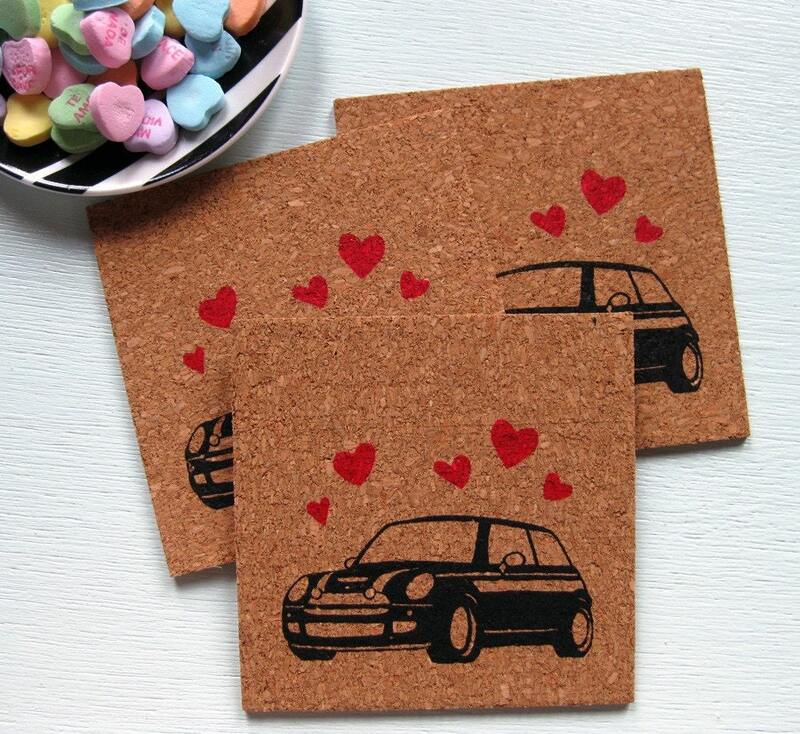 First, these MINI Love cork coasters. I had fun styling these shots with Spanish conversation hearts (so cute!). 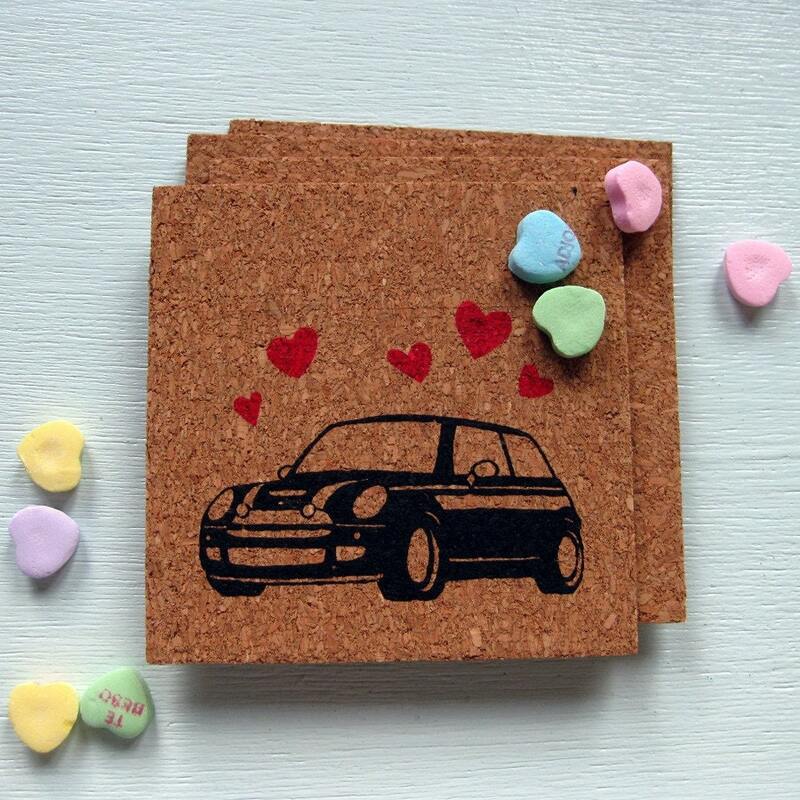 These would be a perfect Valentine's Day gift for the MINI Cooper crazy person in your life! 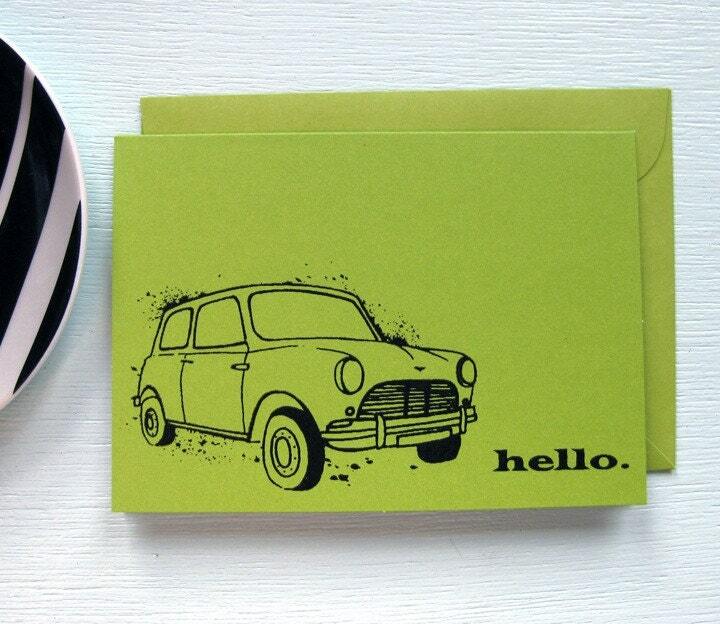 I've also printed my popular "Hello Mini" design on a new shades colored cards. I'm currently listing these in green, orange, purple, red, blue, and yellow. I love how these came out! 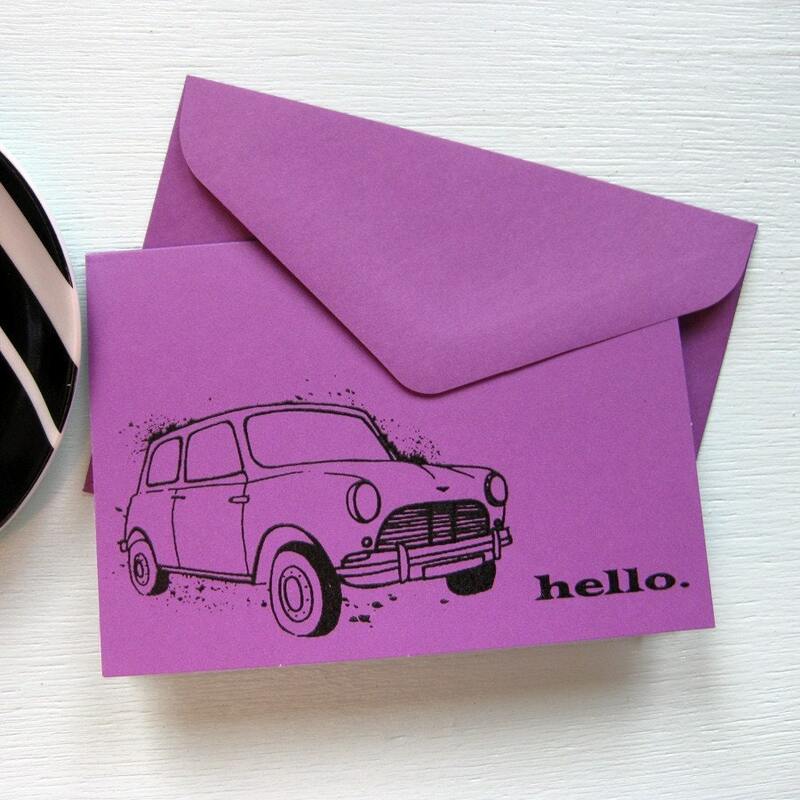 I've also got a new venture in the works: a new Etsy shop featured my retro, mid-century modern designs! I've been thinking about starting this new shop for a long time and I've finally decided to go for it. I have so many sketches and ideas that I've set aside because they do not fit into the "Vitamini" theme, so most of the work is already done for me. I'm slowly starting to refine a few of my sketches and get them ready for screen printing. I'm very excited about this and can't wait to share it with you, so stay tuned!